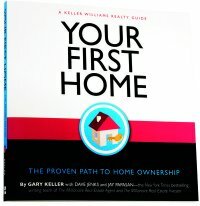 Drawn from the real-life experience of hundreds of thousands of first-time home buyers, Your First Home provides proven, practical guidance on topics such as hiring a real estate agent, securing financing, finding the right home for you & closing on and maintaining your new home. Book included FREE with Seminar! In addition to gaining an abundance of extremely useful information, our gift to you for attending is a copy of the book for FREE. Don’t miss these great chances to learn. Reserve your space NOW before they’re all gone. Just let me know if you, a friend, family member or colleague would like to attend and we’ll save a space for you. 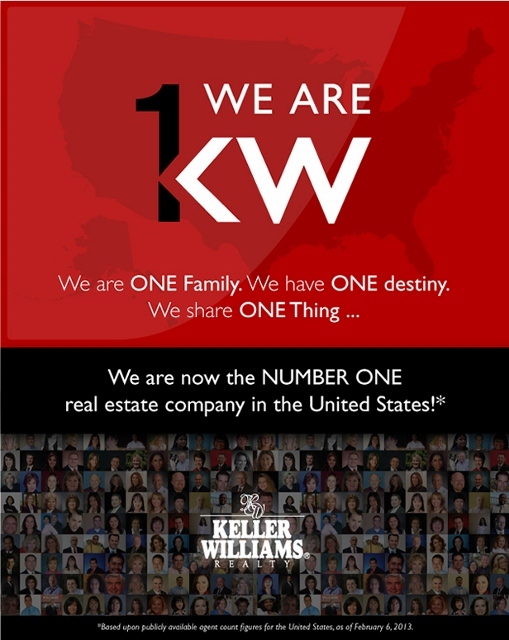 Classes will take place at the Keller Williams Realty-First Atlanta office located at 200 Glenridge Point Pkwy, Ste 100, Atlanta, GA 30342. Want to get the most out of your home remodeling projects? 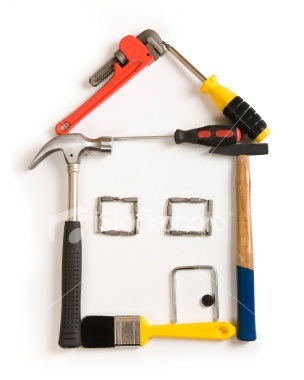 The best tip we can share to get the most out of your home remodeling projects is to keep your long term goal in mind. If you are making improvements to sell your home soon, to take advantage of the current seller’s market, or within a few years remain conservative; avoid the temptation to add a lot of unique or extra touches that are suited specifically for your needs. Also, be sure to keep the color scheme neutral. Even if buyers prefer more color, they can live with neutral (vs. your favorite colors) until they have a chance to personalize the home. If you are going to be in the home for a long time, go for it. Although you are still cautioned to avoid going too far over the top! Another great way to help your projects go smoothly is to hire a reliable contractor! As your real estate concierge, I’m always happy to refer you to a good contractor, painter, plumber, etc. Prices are increasing and inventory is still low. Wondering about the value of your home in today’s market? Or want to find that dream home before it costs more money? Contact me TODAY! • Many believe the ‘X’ symbol became synonymous with the kiss in medieval times. People who couldn’t write their names signed in front of a witness with an ‘X.’ The ‘X’ was then kissed to show their sincerity. • Girls of medieval times ate bizarre foods on St. Valentine’s Day to make them dream of their future spouse. • Physicians of the 1800’s commonly advised their patients to eat chocolate to calm their pining for lost love. • Richard Cadbury produced the first box of chocolates for Valentine’s Day in the late 1800’s. • Over $1 billion worth of chocolate is purchased for Valentine’s Day in the U.S.
• 15% of U.S. women send themselves flowers on Valentine’s Day. • Approximately 110 million roses, mostly red, will be sold and delivered within the three-day Valentine’s Day time period. • In addition to the United States, Valentine’s Day is celebrated in Canada, Mexico, United Kingdom, France, Australia, Denmark, and Italy. 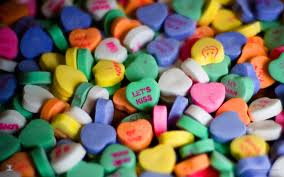 • 220,000 is the average number of wedding proposals on Valentine’s Day each year. A perfect testimony for my mantra “homes that are priced right & show well, sell”. We received two offers after only 5 days on the market and were under contract by the 6th day! As soon as a hot listing comes on the market, it’s gone. Buyers are out there and Realtors® are leaving no stone unturned to find homes for their buyers. For example; last week I went door to door in a neighborhood to find a home for my buyers. Agents are also searching through failed listings (expired or withdrawn) to find homes for their buyers because there is NOTHING on the market. Yesterday, another agent contacted me about one of my listings that was listed for sale and for lease last year. It was leased last summer and we just learned the tenant has found a home to purchase and wanted to terminate the lease early. How lucky is that? I’ll be showing the home tonight to the interested party. Clearly, the take away here is WE NEED HOMES TO SELL! 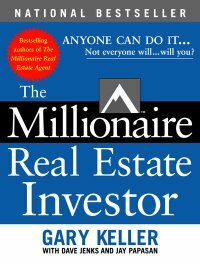 Buyers are out there who are ready, willing and able to purchase a home; they just can’t find the right property. So if you or someone you know is considering a move, NOW is a SUPER time to SELL! Please contact me as soon as possible to learn how you can sell your house in record time! 3 Bedroom 2.5 Bath End Unit in sought after complex! • Showcase condition/Loaded with Luxuries-Maintained to perfection; fantastic upgrades throughout! Extra amenities include hardwood floors, 2” blinds, & lots more! • Kitchen – Features durable beauty w/practical convenience; stained cabinets, pull out pot drawers, under counter sink, pantry, hardwood floor, pendant lights over breakfast bar, open to great room! • Great Room-Generous sized room w/crown molding & picture rail, hardwood floors, cozy fireplace w/gas logs & sliding doors leading to patio & backyard! • Dining Room –Could accommodate 12+, open to kitchen & great room; excellent for entertaining! • Fabulous Master Suite – HUGE room w/trey ceiling, walk in closet w/extra shelving, 2 “ blinds & ceiling fan! • Marvelous Master Bath –Double vanities, tile floor & tile shower surround! • Generous Secondary Bedrooms –One with trey ceiling & Palladian window. Both have ceiling fans & walk-in closets! • Laundry upstairs-Extra shelving here too! • Extra Attic Storage-Added flooring & shelving for tons of extra storage space! • Private back yard & patio- Great spot to chill & grill! Extended patio for even more space! Exterior storage closet to stash your outdoor stuff! 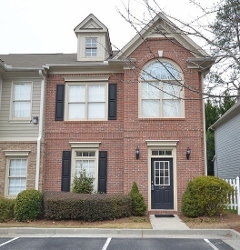 • Great Location-Just minutes from downtown Alpharetta, Wills Park, Amphitheatre & 400. Walk to Harry’s! • Sought after Milton High School District!